Lately, I have been having complete breakdowns. I don't know if it's the hormones or I'm just putting too much on my plate. The kids have been more unpleasant than I have ever known them. I knew something had to shift. Yesterday, I decided to do a little less work and just focus on some good time with the kids. They have been really whiney lately and I think we needed some 'us time'. Don't get me wrong, I didn't entirely give up my work, I just refocused my energy and got the work done on the side (I still did 4 loads of laundry, vacuumed the house, made 8 pans of kale chips, weeded the garden and had a yummy dinner). When Savina went down for her nap, Gabe and I did yoga. After just 30 minutes that I took to do it, I realized what was missing in my days. The first thing that left my routine to get more things done had been yoga. What a terrible decision it was to cut yoga out of my day. The breathing helped me slow down and relax and the stretching helped my body get more energy. And watching Gabe do different yoga poses put a huge smile across both our faces! The kids and I had a great day. I was completely refreshed. They still had their tears but I didn't have one! It was wonderful ... work still got done and we were all happier. Final decision ... more yoga, less stress! 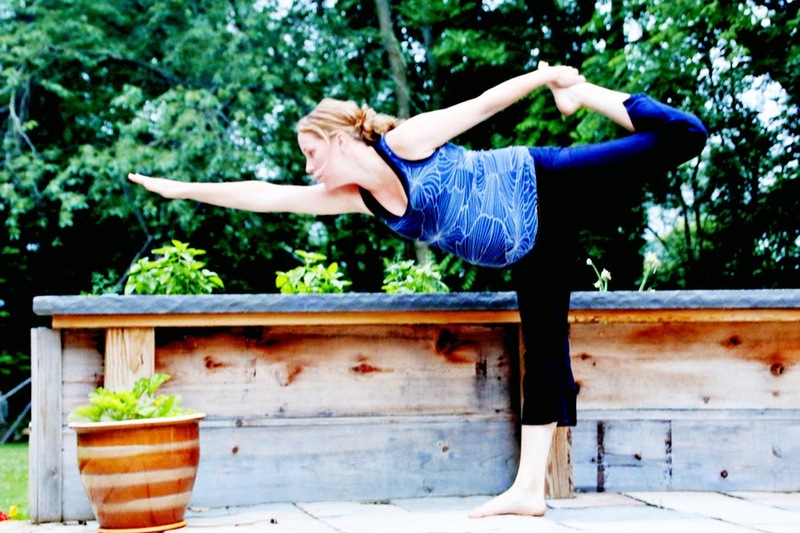 Helps your muscles prepare for labor by stretching them while increasing flexibility and endurance. This can help decrease lower back pain that you get during later trimesters. Watch a youtube video: There are tons of videos on the web that cater to your specific trimester and you can find one that is the right amount of time that you need ... or have! I like doing this because they are free and I can change it up every day. Print out a yoga cheat sheet. 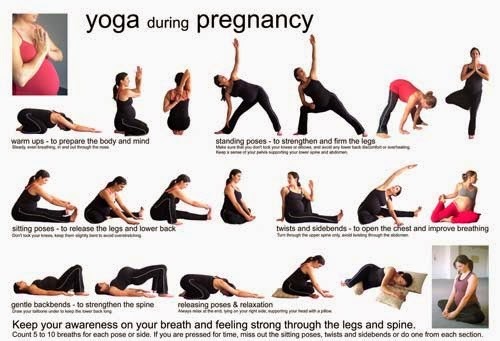 I found this at YogaLifeStyle.com. When the kids and I are playing outside or downstairs, I can bring this with me and get my time in while they are busy. 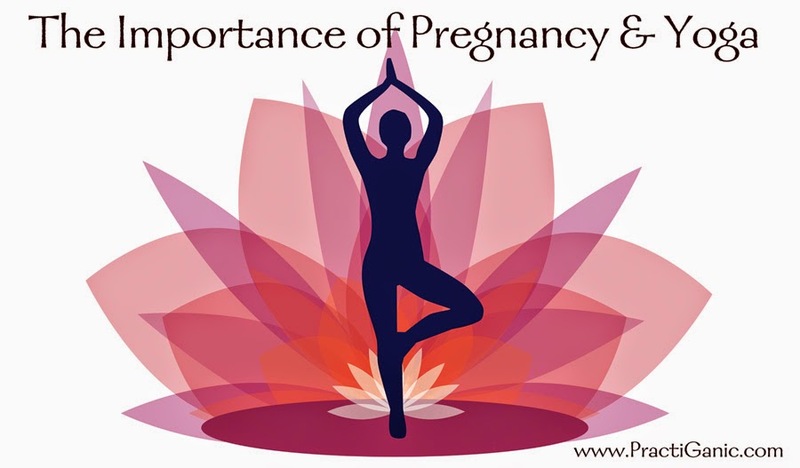 I have made a commitment to myself to get my daily yoga in ... not just for me, but for the sanity of the kids and the health and wellness of new baby! Plus, getting back in a routine now will only help me in sticking with it once new baby is here, helping me in post baby health and sanity. Wish me luck! Hops Syrup for Hops Lemonade or Hops Cocktails! Best Homemade Dish Soap EVER! Visit PractiGanic's profile on Pinterest.